All The Tools And Equipment You Need For A Perfect Garden! If you have just moved into a property, the chances are the garden has been neglected for a while. If you are hankering to turn it into a lush, green paradise then you are going to need to get yourself kitted out with the right tools for the job! 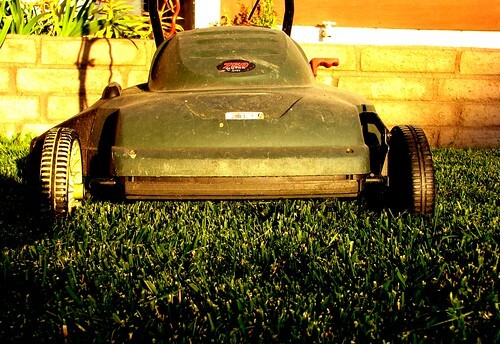 You’ll need a really good quality lawnmower that is built to last – that way you won’t end up having to replace it in a few years’ time. Make sure it has a big grass collector on the back so that you can fly around the garden cutting it without having to keep stopping to empty it. Some people choose electrical ones while others choose fuel-powered ones – it depends on your preference. You’ll also need a hedge trimmer and a strimmer. These should all be locked up at night as thieves love to help themselves to garden machinery. You will also need some garden implements for the smaller jobs. You’ll need a good quality garden spade and fork for digging out flowerbeds. You’ll also need a trowel for planting and some secateurs for clipping back and pruning. Get yourself a kneepad for when you are planting things out – it will be a lot more comfortable. Then you will need a rake for getting rid of fallen leaves, a hoe for weeding and a broom for sweeping patios and concreted areas. You will find that a wheelbarrow comes in handy a lot, so get yourself a really durable one with a good quality tire on it. Think about investing in a composting box as you will be able to generate a lot of great compost to throw on your garden. Just throw in vegetable peelings, egg shells and fruit that is past its best and before long you will have nutrient-rich compost for your flowers to thrive in. Get some flowerpots of different sizes, some plant labels and some potting trays. You may like to store all of this in a potting shed. It’s time to get some seeds and bulbs to plant. Go to your local gardening store and stock up on things to plant. Try and choose ones that can be planted straight away – it will tell you when to plant them on the back of the packet. Also, try and choose things that flower and fruit at different times of the year so that there is something going on in the garden during every season. The more you work in the garden the more knowledgeable and experienced you will be, so you might have to accept that there will be some failures along the way! 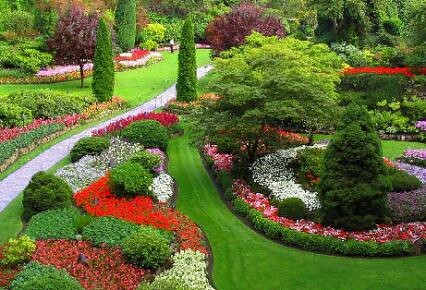 A beautiful garden is such a benefit to any house, and it’s the perfect place to entertain when the weather is good. Get yourself kitted out and get those green fingers out! The author of this post, Anne James is an employee at BIO-LOGIC LTD, which offers lawn care in Richmond Hill. She has a very dynamic personality and she enjoys interacting with people.